Inquiring readers: Paul Emanuelli has frequently contributed his comments on this blog. Little did I know that he was an author! He has graciously sent in his thoughts about Bath, the city in which he has set his historical crime novel. 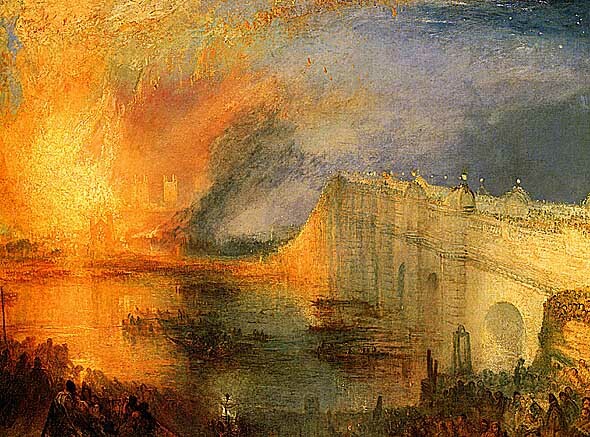 Paul writes about Bath in his own blog, unpublishedwriterblog. It is well worth a visit! 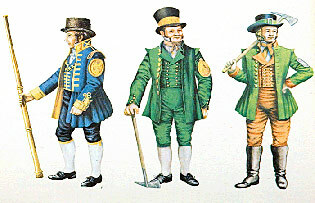 Beau Nash turned the city of Bath into the most fashionable resort in 18th-century England. In his role as Master of Ceremonies he organised the premier social events in the city and chose who should, and should not be invited. He established a select list of people who he defined as the cream of Society, and more importantly he changed the social conventions of the city. 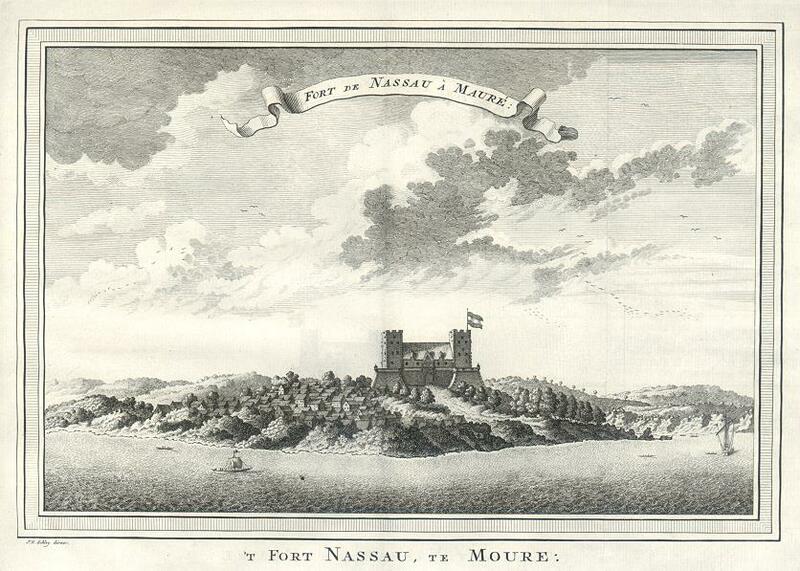 Nash broke down the old order dominated by the nobility and gentry, and promoted the nouveaux- riches. 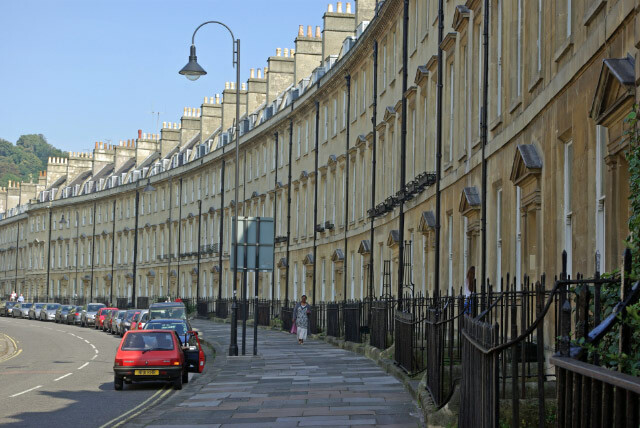 Whereas in other cities the growing number of wealthy industrialists and tradespeople were still looked down on because of their background, in Bath, Nash welcomed them as elite members of society. For years the city thrived on the wealth of visitors who stayed for the Season. The affluent tourists rented houses and apartments and all the trappings that went with them; crockery and cutlery, silver-ware and ornaments, horses and carriages, servants and attendants. Prominent architects designed fine buildings and the city grew. 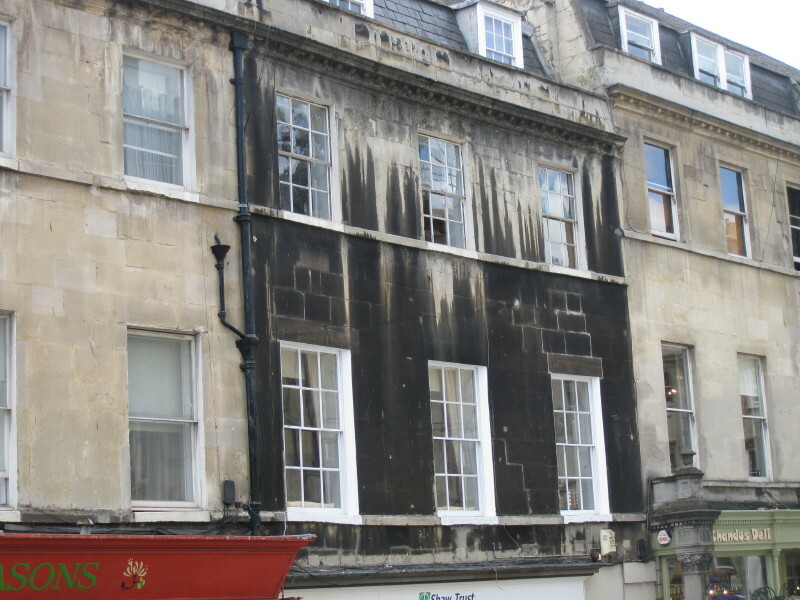 Milsom Street became one of the most prestigious shopping areas in the country. 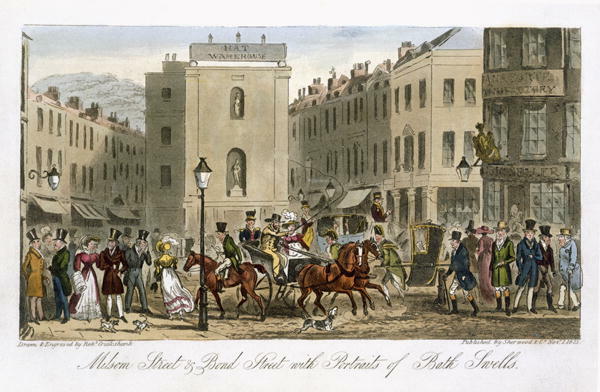 Milsom Street and Bond Street with Portraits of Bath Swells. 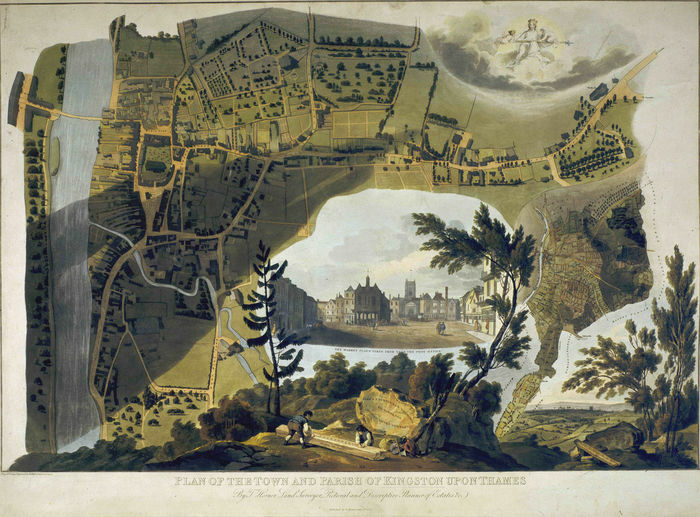 By 1801, when Jane Austen moved to Bath, the city was the 9th largest in England, with a population of 33,000. Yet the city’s fortunes had already begun to decline. Bath had changed in character and atmosphere. It was becoming less fashionable and the wealthy were visiting less often, and their stays were becoming shorter. 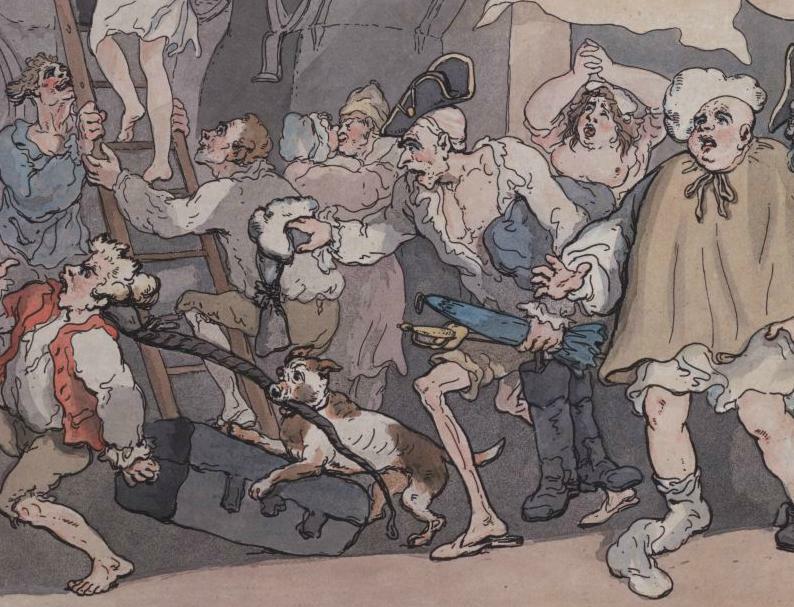 Thomas Rowlandson’s caricature of the Comforts of Bath. The classes noticeably mingled as they awaited drinking the waters in the Pump Room. 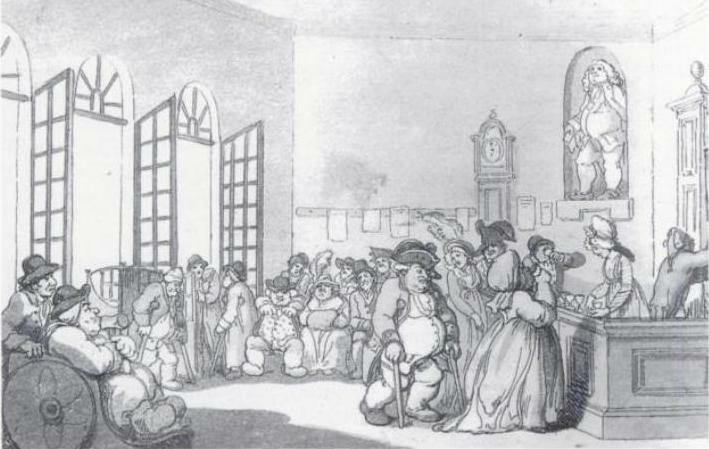 (Notice the patient in the wheel chair on the left and the sedan chair next to him, which was carried inside the room.) Nash’s statue is in the niche at the top right. You can still see it today. Coal soot darkened the creamy colored stone of the buildings. 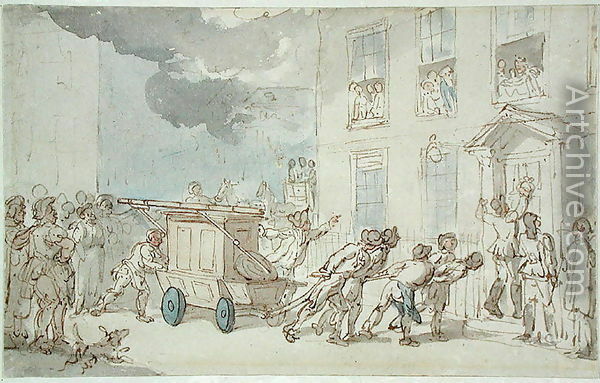 By the time Persuasion was published in 1817, the larger part of Bath’s population was working class. 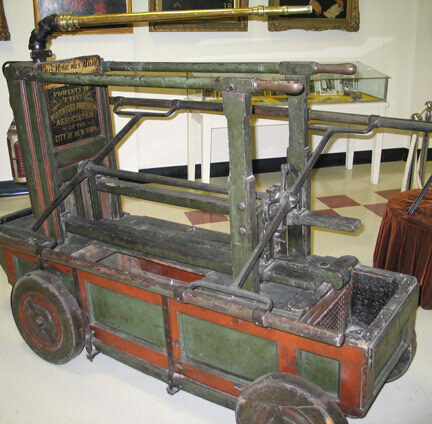 Industry was thriving in the city, supplying the many fine shops in Milsom Street and drawing people from the countryside to fill the jobs created. Yet the people who worked in the factories and sweat-shops, the costermongers and shop-assistants, the building labourers and hotel staff were, for the most part, poorly paid. The only housing they could afford was overcrowded and poorly maintained, and the slum areas around Avon Street were increasing in size, as quickly as they were deteriorating in quality and appearance. By 1850, the rookery of hovels and cheap boarding-houses in and around Avon Street were home to almost a quarter of the Bath’s population. 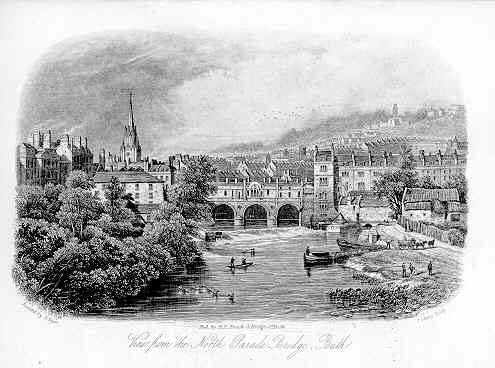 Bath had grown considerably by the 1850’s, the date of this illustration. 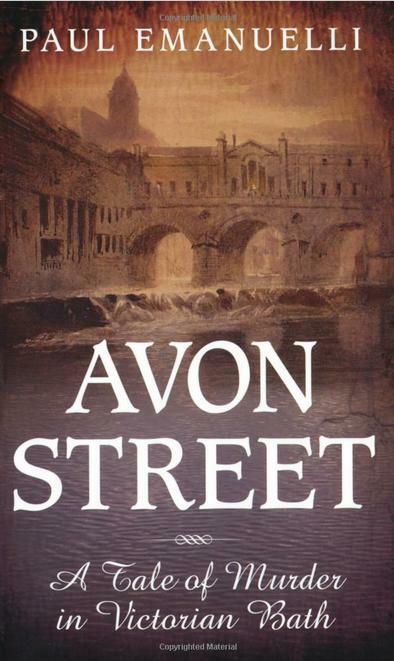 My novel, Avon Street is set in Bath in 1850. But Bath isn’t just a setting. It is a character in its own right. 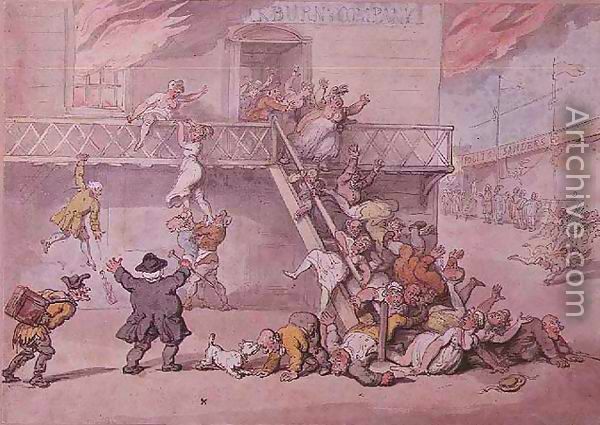 In writing Avon Street, I have tried to take the reader beyond the Georgian facades, and reveal a city, where wealth and elegance were never far from poverty and squalor. 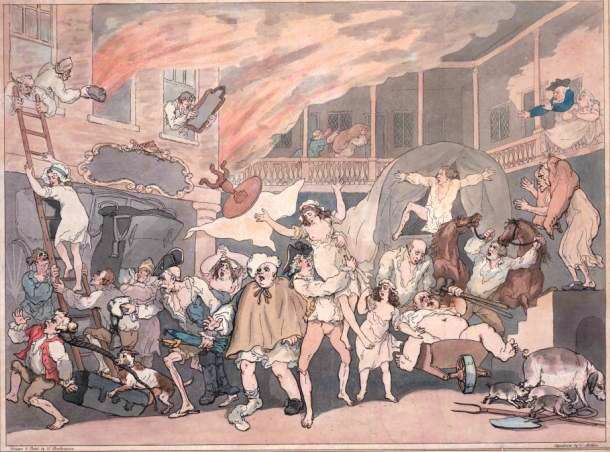 Bath was a city, where things were often not as they seemed, where people as Austen said, could “be important at comparatively little cost.” In short it is the ideal setting for a story of confidence tricksters and crime, intrigue and betrayal. 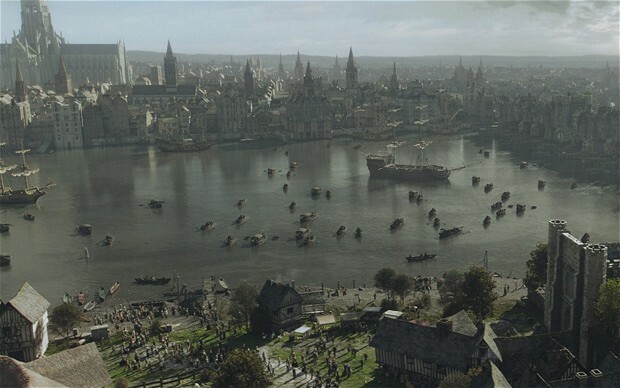 A city where enemies can seem all-powerful, and friends are sometimes found where least expected. 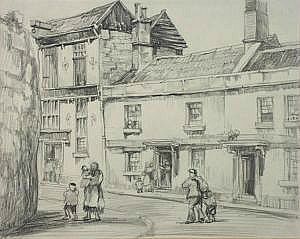 In Persuasion Anne Elliot visits a friend in Westgate Buildings despite Sir Walter’s warning of its unsuitableness – “Everything that revolts other people, low company, paltry rooms, foul air, disgusting associations are inviting to you.” (Click here to see an image of Westgate Buildings in 1900.) It seemed only fitting that the first chapter of my book be set in the same location, on the borders of the Avon Street area. 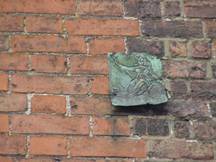 More about Avon Street and Paul Emanuelli: Why Avon Street? This 12-minute podcast from Colonial Williamsburg Podcasts discusses The Art of Beauty in the 18th century. My previous post featured a recap of the Shire Book, Beauty and Cosmetics 1550-1950 by Sarah Jane Downing. The podcast compliments that post to a tee! Read the transcript at this link. Find other podcasts at the Colonial Williamsburg Past and Present Podcast. The categories sit in the sidebar on the right. Lavender Water recipe from The experienced English house-keeper: for the use and ease of ladies, house-keepers, cooks, &c, Elizabeth Raffald, confectioner … Manchester, 1769. Gentle Readers, Patty of Brandy Parfums frequently contributes articles of interest to this blog. 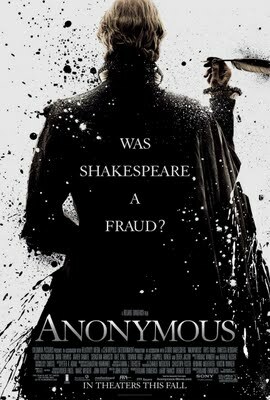 Her latest post is about Anonymous, the film about the authorship of Shakespeare’s plays, which recently opened in theatres. Jane Austen knew Shakespeare’s plays well and based a number of her novels on Shakespeare’s characters and plot devices. Stephen Derry writes about these many references in his paper for the Jane Austen Society of North America, ‘Jane Austen’s Use of Measure for Measure in Sense and Sensibility.’ Derry begins his paper by saying -In Mansfield Park, Edmund Bertram declares that one is familiar with Shakespeare in a degree from one’s earliest years. His celebrated passages are quoted by everybody we all talk Shakespeare, use his similes, and describe with his descriptions. Knowing of Jane Austen’s profound knowledge of Shakespeare should give those who love her works a keen interest in all things Shakespeare – and in this new movie, which brings the Elizabethan period to life. 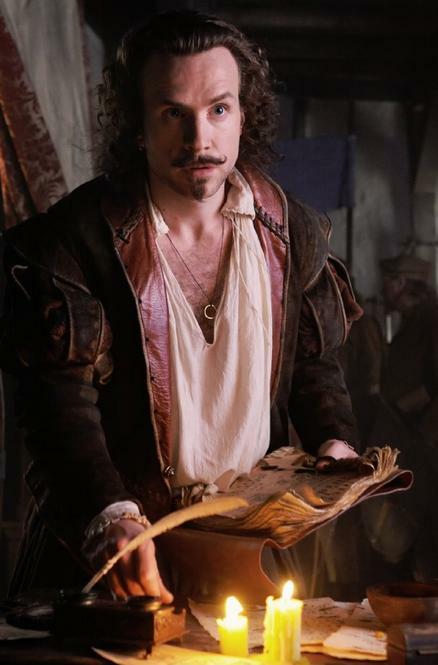 This is the first time a major movie studio has taken a leap, with an elaborate period production, costumes, and star-studded cast, to delve into the question plaguing scholars for centuries, as to who the author of Shakespeare’s plays really was. Shakespeare authorship as an area of inquiry is not new. While making a list of the greatest Elizabethan poets, Henry Peacham in The Compleat Gentleman published in 1622, when the First Folio was being created, lists Edward de Vere, the Earl of Oxford, first on his list and does not include Shakespeare at all. Many believe that this was Peacham’s way of hinting that Edward de Vere, not William Shakespeare, wrote the plays and poetry. More recently, in the past 150 years, there have been many notable actors, writers, and Supreme Court judges who have questioned William Shakespeare as the author of the plays. Among them are Mark Twain, Leslie Howard, Charlie Chaplin, Orson Welles, Sigmund Freud, Charles Dickens, Walt Whitman, Henry James, J. Thomas Looney, Michael York, Sandra Day O’Connor, Harry A. Blackmun, and John Paul Stevens. Besides de Vere and William Shakespeare, the other main candidates to have written the plays are Bacon, Marlowe, and Neville. A fantastic short video by the director of Anonymous, Roland Emmerich, summarizes ten reasons why it is implausible that the Stratford William Shakespeare wrote the plays. For some, the main reason is that unlike all other great authors of the period, no letters exist either to or from Shakespeare. Preview: Was Shakespeare a Fraud? A new book coming out November 8th continues to examine the question of Shakespeare authorship – The Shakespeare Guide to Italy by Richard Paul Roe, paints the Stratford man who never left England as an improbable author of the many distinctively Italian plays. Current scholars, and by extension many of their now journalist proteges, who defend William Shakespeare as the author of the plays, are extremely defensive and say there is no room for doubt. Time will likely make the world more receptive to exploring Shakespeare authorship, but for now Anonymous will inspire interest in this fascinating field. I highly recommend this film. A great debate is available on line between Professor Stanley Wells and Mark Rylance at this link. 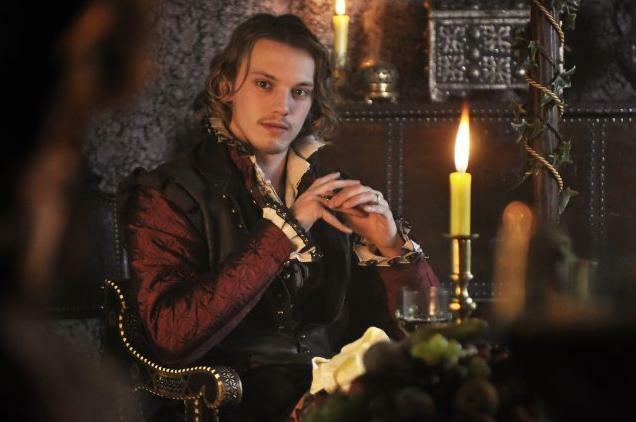 Anonymous, the new movie about Edward de Vere, the Earl of Oxford, as the true author of Shakespeare’s plays. 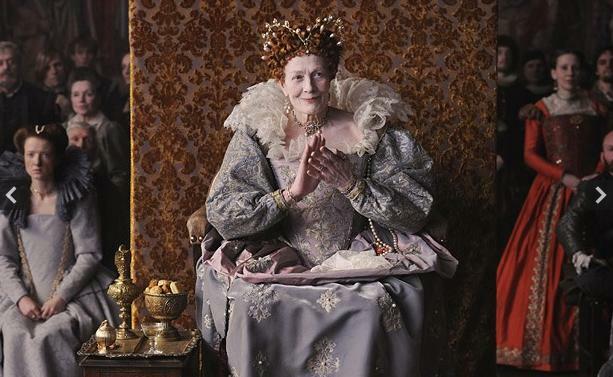 With Rhys Ifans, Vanessa Redgrave, David Thewlis, and along with those who actively support authorship studies, Derek Jacobi and Mark Rylance. Directed and produced by Roland Emmerich, released by Columbia. Poor Miss Manners is always having to explains why Americans hold forks in their right hands as opposed to Europeans, who use their left hand to spear their food. Have American table manners deteriorated? Or are we following an historic tradition? To answer that question we need to go back to ancient times when two-tined kitchen forks were used to help carve and serve meat. (We still require the assistance of large two-tined forks when barbecuing foods on a gas or coal grill.) In the 7th century the people in the Middle East began to use forks when dining, and by the 10th through the 11th centuries such usage had become quite common. The Italians were introduced to the fork in the 11th century. One wonders how the Europeans ate their food without a fork. If you’ve ever attended a reproduction of a medieval banquet you have an idea. People used knives to spear food, spoons to scoop up, and fingers to grab. Only one implement was used at a time, and it was held in the right hand. Four-tined prongs became popular in the 1750s. These tines were curved and served as a scoop, reducing the need for the spoon. By the time Jane Austen and her family had moved from Steventon to Bath, the four-tined fork was also being made in Germany and England and had traveled to the Americas. In the mid 19th century specialized forks were produced for every kind of food, including cakes and fish. Cardinal Richelieu of France supposedly was so disgusted by a frequent dinner guest’s habit of picking his teeth with his knife that he had the tips of the man’s knives ground down. The fashion-conscious French court picked up on this style and followed suit. In 1699, to reduce the risk of dinnertime knife fights, French King Louis XIV banned pointed knives outright. Since blunted knives were useless for spearing food in the old two-knife dining style, forks replaced the knife held in the left hand. 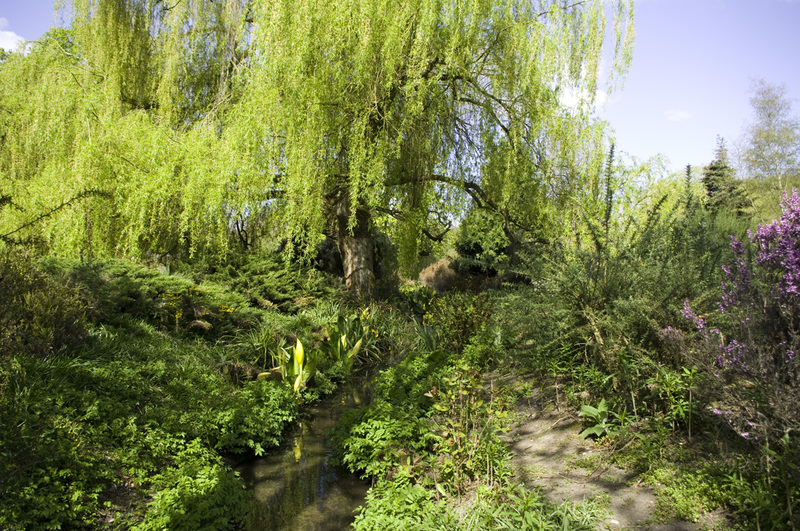 Gentle Readers, It may please you to know that frequent contributer, Tony Grant (London Calling), lives near Richmond Park, a wilderness that has kept its pristine nature for centuries. Enjoy these beautiful photographs. 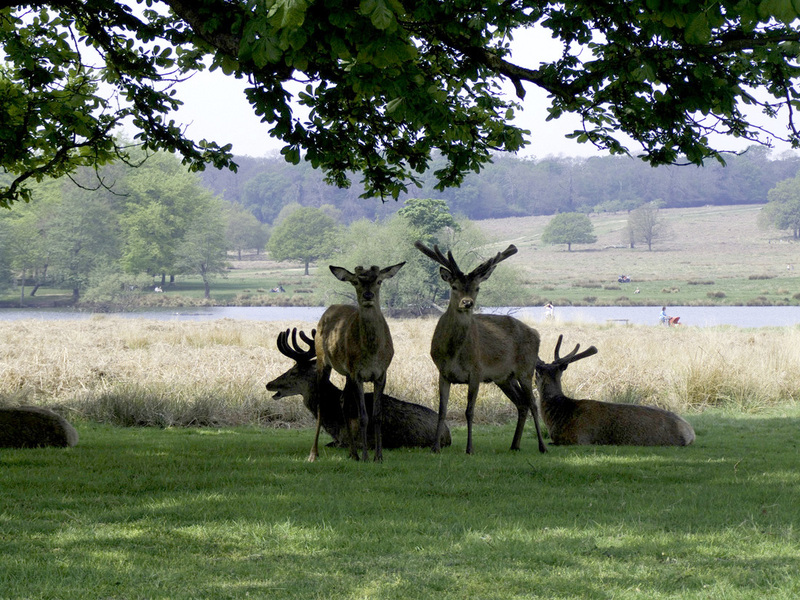 Richmond Park is situated 12 miles south west of St Pauls Cathedral in the city of London. It just happens to be two miles from where I live on the edge of Wimbledon and abuts Wimbledon Common that stretches for a few miles on the other side of the Kingston Road. 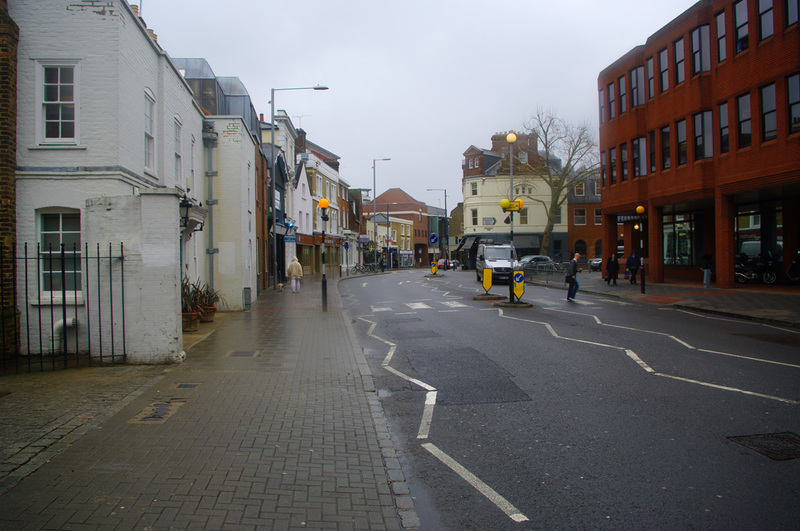 The Kingston Road is a very old road running between Kingston upon Thames and the City of London. It bisects Wimbledon Common and Richmond Park on it’s way. Jane Austen would have travelled often along it on her way from Hampshire by way of Kingston upon Thames to her brother Henry’s house in Henrietta Street or to one of the other houses Henry owned at different times. The park has always been an untouched piece of wilderness. It has never been adapted or changed by agriculture. It has always been as it is to this day. It covers 2,500 acres. 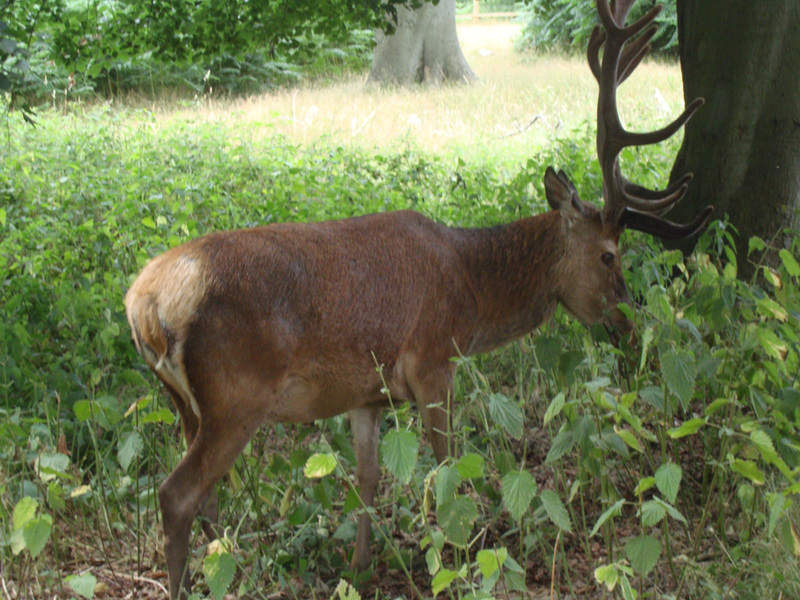 King Edward I who lived from 1272 to 1307 and who was also called Longshanks and The Hammer of the Scots, formed the park in the Manor of Sheen beside the Thames outside of London, as a hunting park stocked with red and fallow deer. 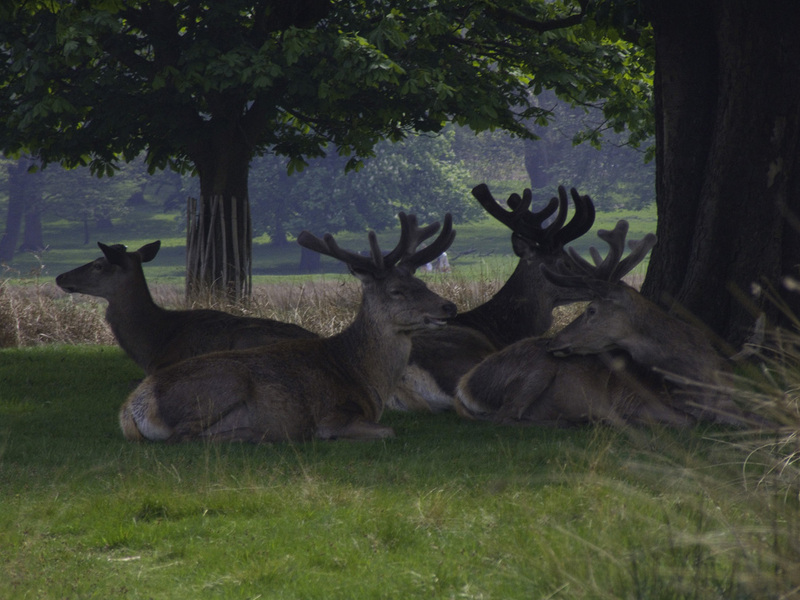 There are six hundred deer in the park to this day. 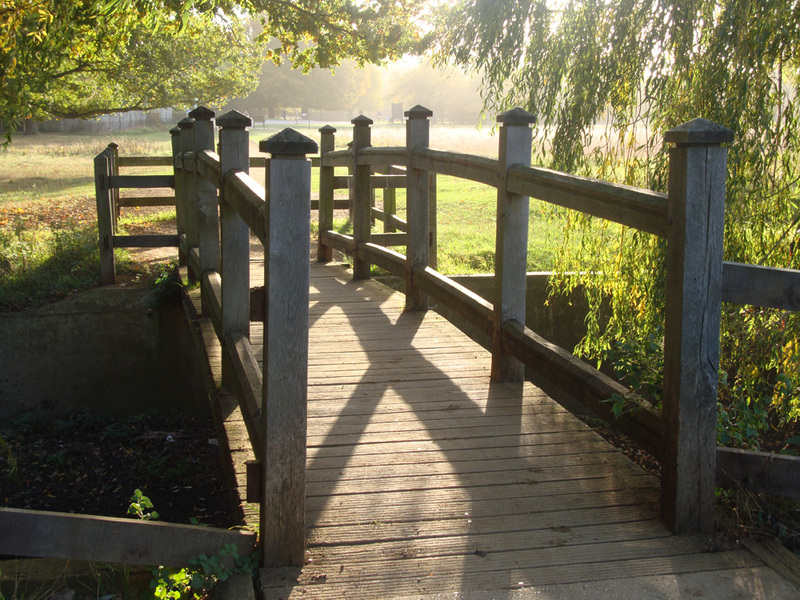 Under Henry VII, who built a palace at Sheen beside the river, the park and the local town was renamed, Richmond. 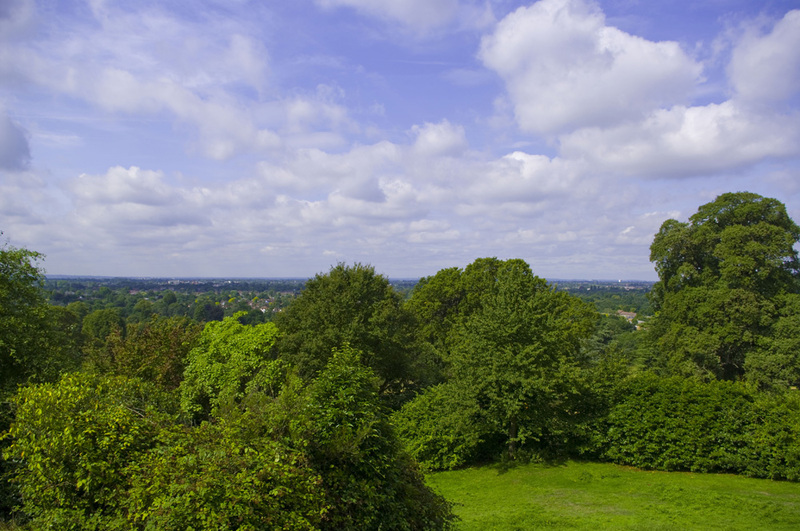 There is a mound or small hill in the park called, Henry VIII’s Mound, where the Tudor king reputedly would spy out likely deer to be hunted. 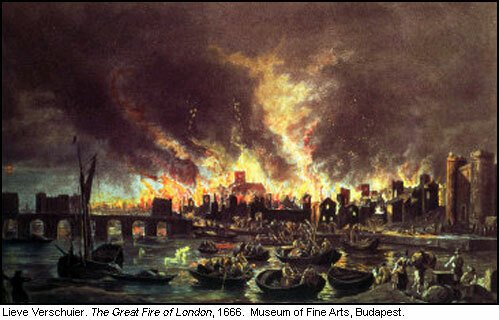 In 1625 Charles I removed the whole of his court to Richmond Palace because of the Black Plague raging through London. He used the park for hunting too. In 1637 Charles had a wall built around the park, which is still there. The local people were obviously chagrined. 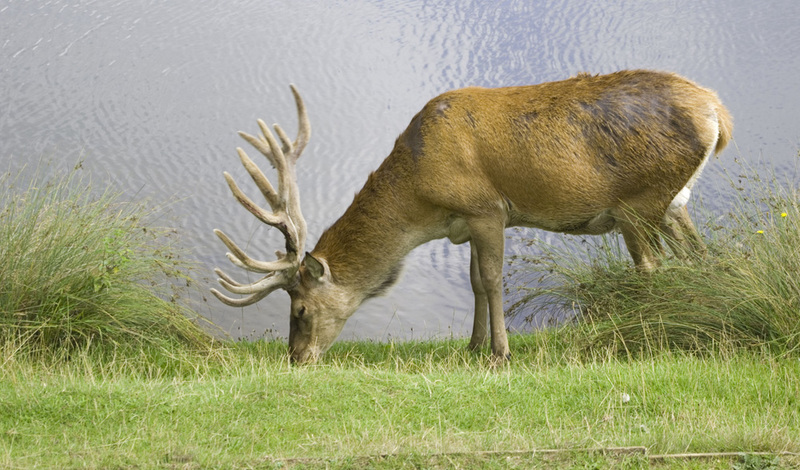 Charles passed strict laws about the King’s deer being poached and the wall was an extra deterrent. Richmond Park has a strong emotional connection for Marilyn and me. Not only does one of the campuses of Kingston University, where me met as undergraduates, back onto the park and on numerous occasions we scaled the brick wall between Kingston Hill Place, my halls of residence , to get into the park at night but it has great significance to the birth of all our children. Now I know what you are thinking, but you would be wrong. By the way, Kingston Hill Place used to be the home of Lilly Langtry or Jersey Lill, as she was known, the mistress of Queen Victoria’s eldest son Edward VII. Getting back to the great significance to the birth of our four children. Well, it first happened with Sam, our eldest. The day he was due to be born, 1st July 1986, Marilyn showed no signs of going into labour. We sat around and sat around waiting for something to happen and obviously it wasn’t going to. 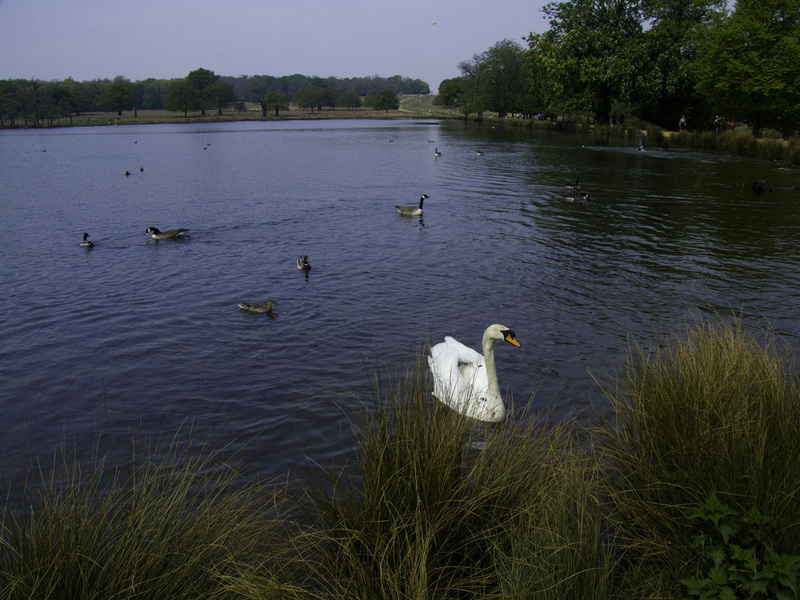 We decided to drive to Richmond Park and go for a walk beside Penn Ponds, two beautiful small lakes right in the middle of the park with reed beds and groves of massive ancient oak trees nearby. The ponds have a large variety of water birds, swans, mallards, Canada Geese, coots and many other varieties of ducks inhabiting them. They nest in the reed beds along the edge of the ponds. 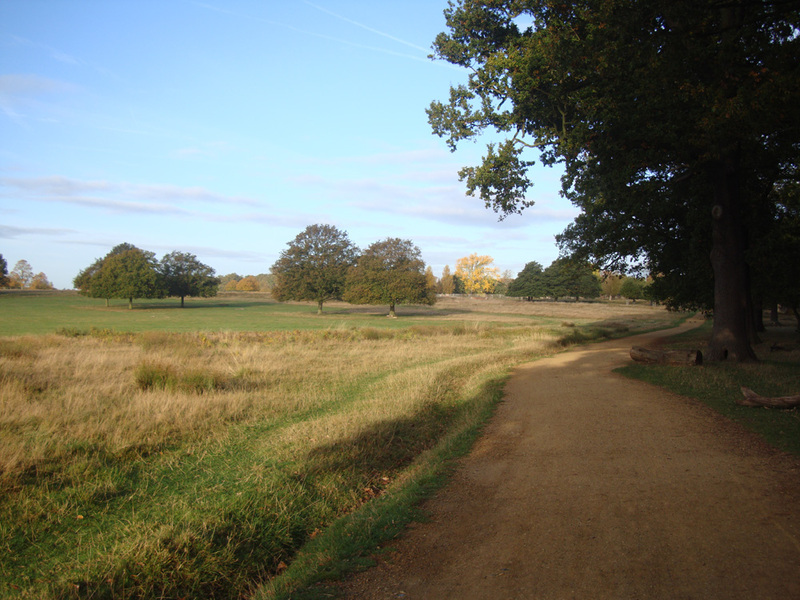 Richmond Park has been classified as SSSI status. That means it is a site of special scientific interest. Sam was born a week later on the 8th July. When Marilyn [Tony’s wife] was pregnant with Alice we followed the same routine, a day beside Penn Ponds and then after that, we did the same with Emily and Abigail in later years. All of our children were born late. You might think, weren’t you taking a chance? What if Marilyn had gone into labour on the predicted date? 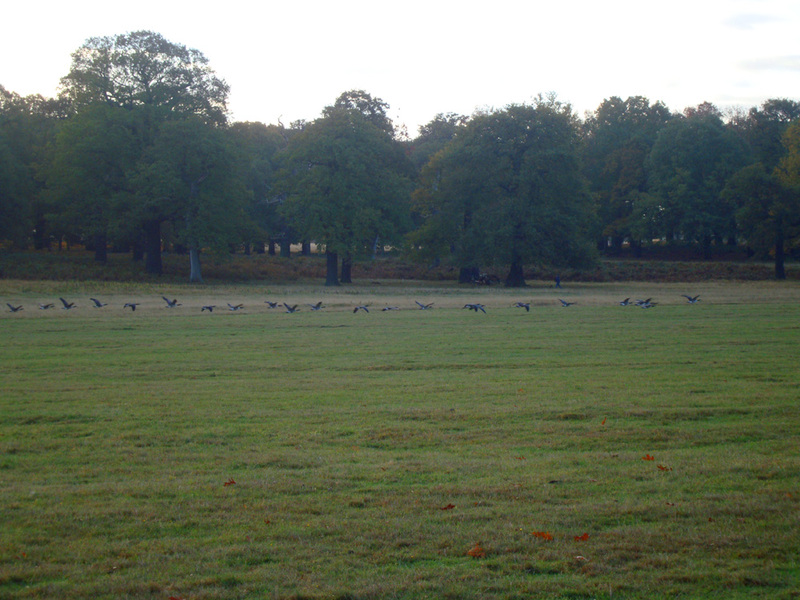 Ah well you see, Kingston Hospital is right next to Richmond Park. All we needed to do was climb over the wall. No sorry, let me get that right; drive a short distance to the maternity department. 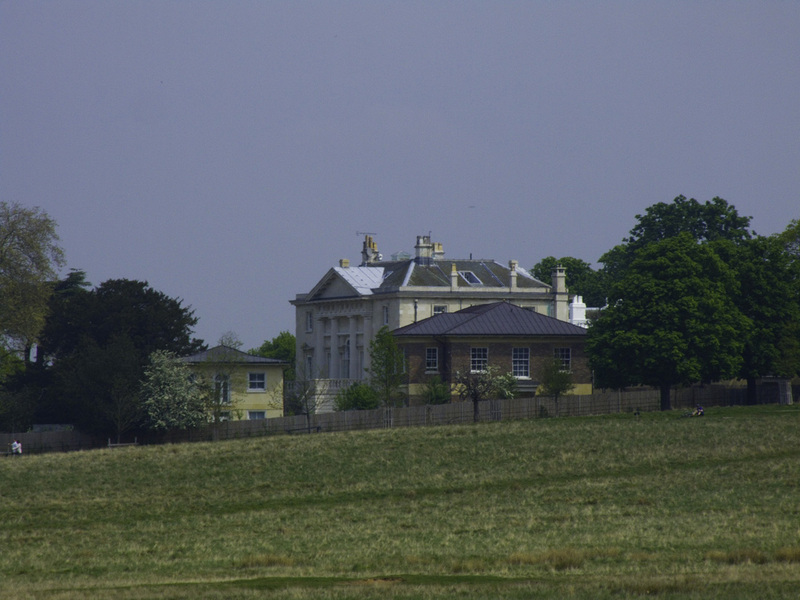 There are a number of beautiful houses inside Richmond Park. 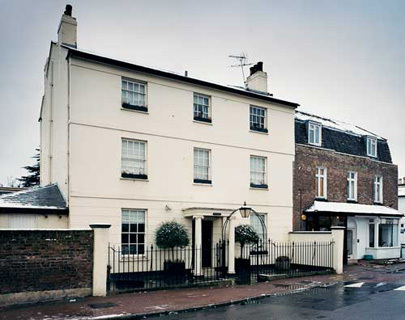 White Lodge,in the centre, is the home of The Royal Ballet School. All our great ballet dancers train there from an early age. In the film Billly Elliott, that is where he went to train as a dancer. 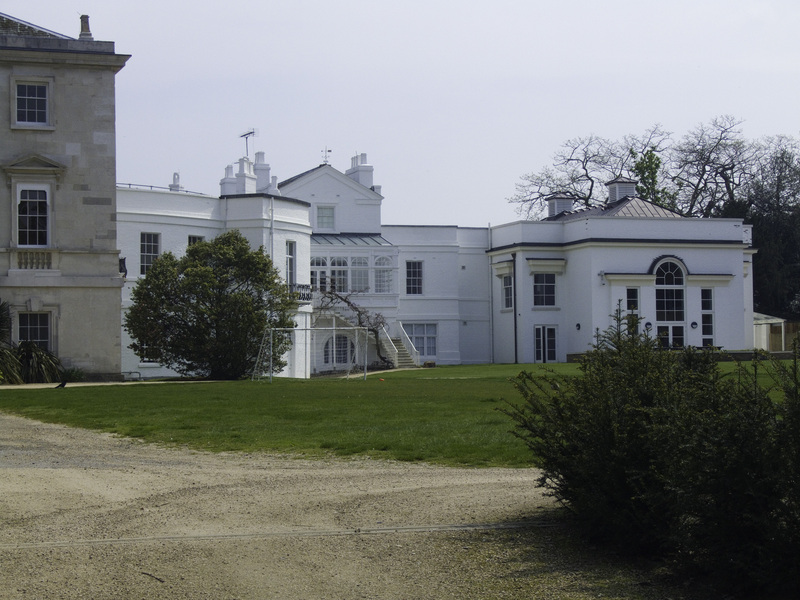 White Lodge is an elegant 18th century pile that used to be a country house belonging to Edward VII. 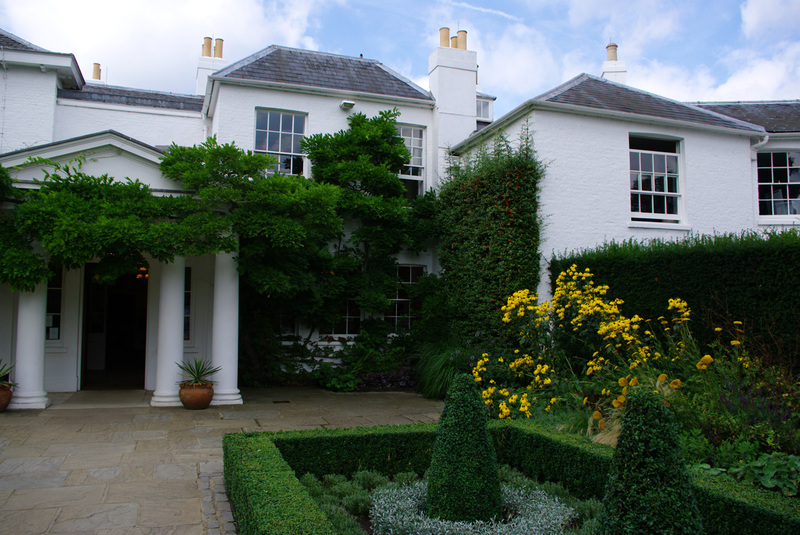 Pembroke Lodge, situated on a high hill overlooking the River Thames and Kingston upon Thames is situated on the edge of the park. It used to be the home of Lord John Russell, a prime minister during the reign of Queen Victoria. He was the grandfather of Bertrand Russell, the philosopher. 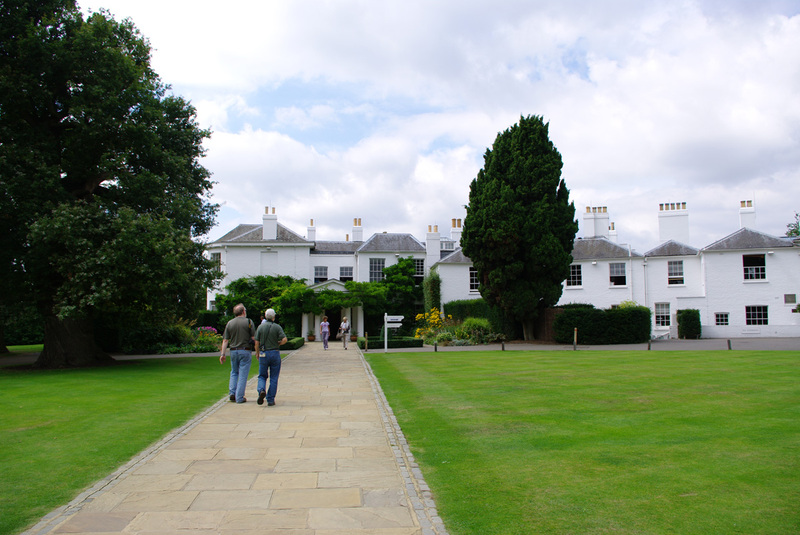 Bertrand Russell spent much of his childhood at Pembroke Lodge. Pembroke Lodge is now a café and restaurant. 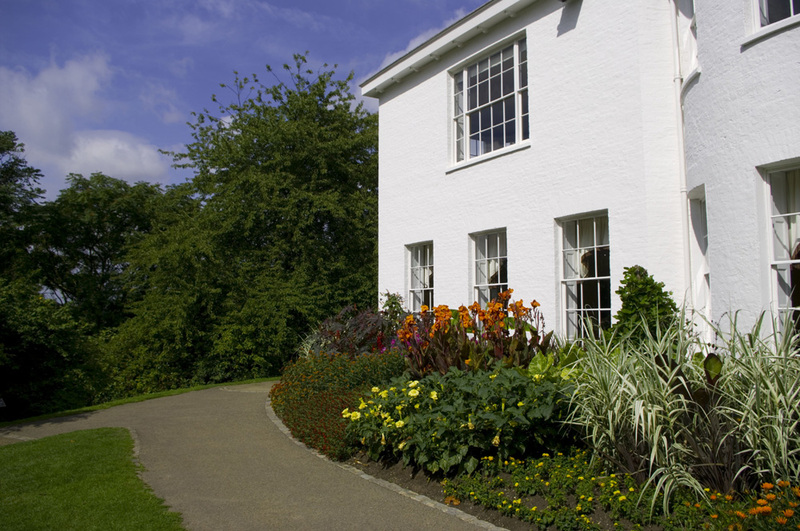 It is a great experience to sit on the terrace of Pembroke Lodge on a summers afternoon looking out over the Thames sipping Earl Grey or Lapsang Souchong, and eating a scone with clotted cream or homemade strawberry jam. 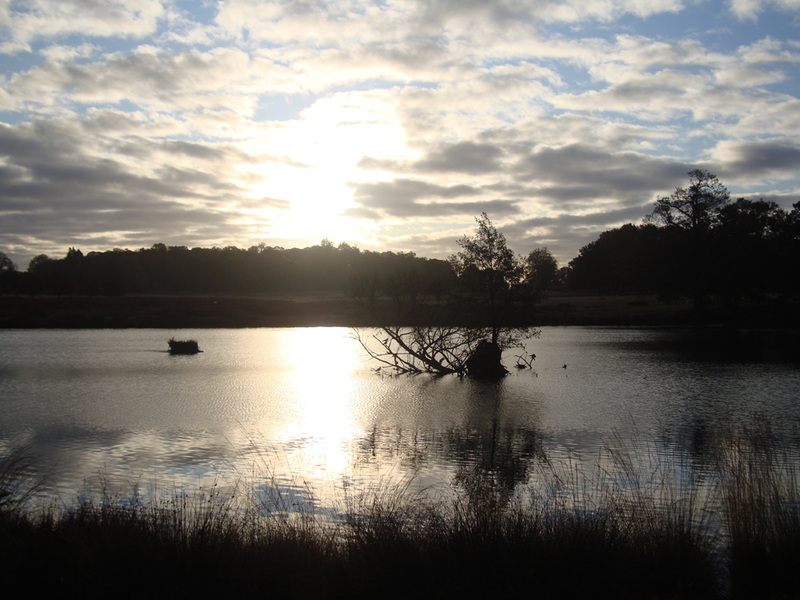 Richmond Park is wonderful to take long walks. There are many massive ancient oak trees. Some must be four or five hundred years old. A few have been scarred by lightning strikes. You will see deer grazing in amongst the vast areas of bracken. An unexpected sound and sight are the flocks of green parakeets that have inhabited parts of Richmond Park. The story goes, whether myth or reality , is that in the 1940’s Treasure Island was being filmed at Pinewood Studios. 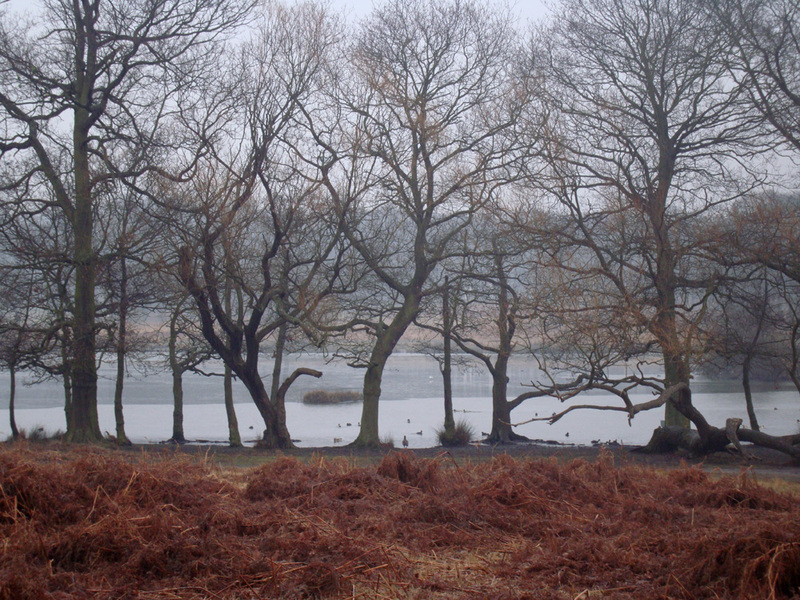 They had parakeets on the film set and some escaped and began breeding in Richmond Park. A similar story centres around the making of The African Queen with Humphrey Bogard. It too was being filmed partly at Pinewood. Again the story goes that parakeets escaped from that film set too. I don’t know how much truth there is any of these stories but there is, without doubt, a colony of green parakeets living and breeding in Richmond Park. I have had a few land and rest in the branches of the apple trees in my own garden. There are a number of plantations that are fenced off from the rest of the park so deer cannot eat the shrubs and trees growing in them. The Isabella Plantation is the most wonderful example of them all. It is a woodland garden at it’s best. In the spring when the bluebell woods are carpeted in blue it lifts the spirits and is a joy to behold. Many of the bushes and shrubs situated in glades and beside the sparkling stream that runs through the plantation create an emotional and spiritual experience. 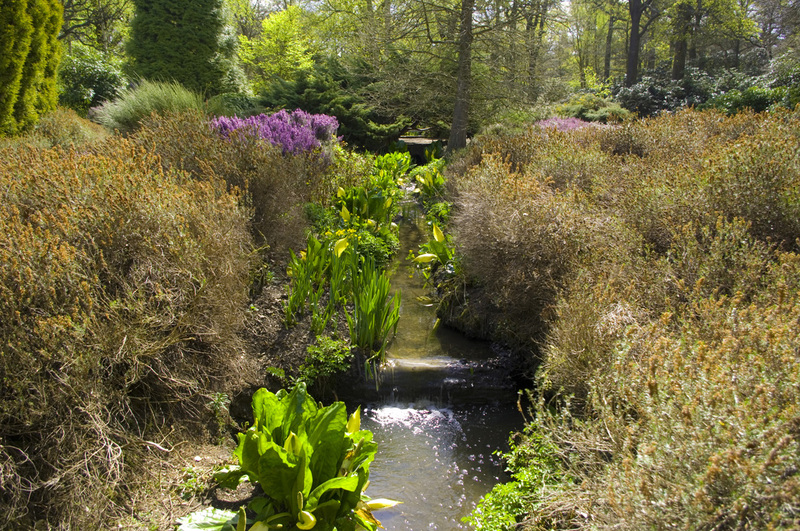 The Isabella Plantation is one of those places on earth that sooths the spirit and fills your eyes with beauty. To sit on the grass and listen to the birds and look at the camellias, magnolias, azaleas and rhododendrons is wonderful. The plantation is run on organic principles and because of this it is home to a great variety of insects and mini beasts. 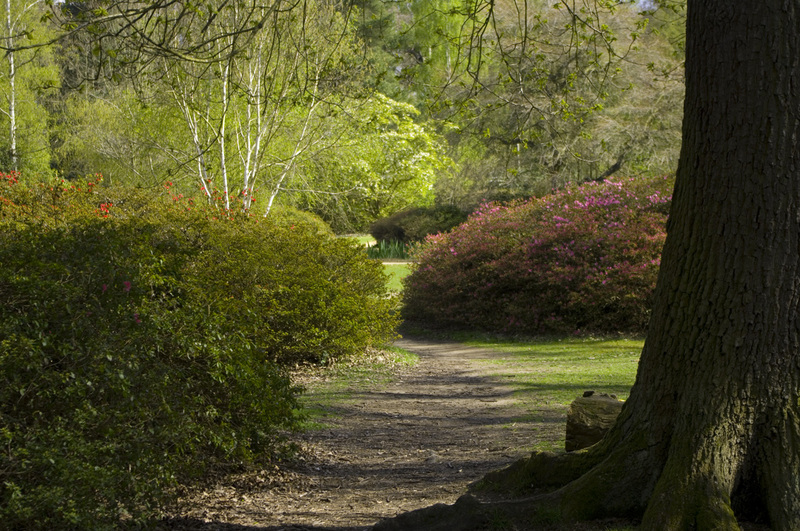 Here is a quote from the web site dedicated to the Isabella plantation. The present plantation was developed by George Thomson , the park superintendent from 1951-1971. Some recent news for you Hollywood A list watchers. My local paper had a small news item. 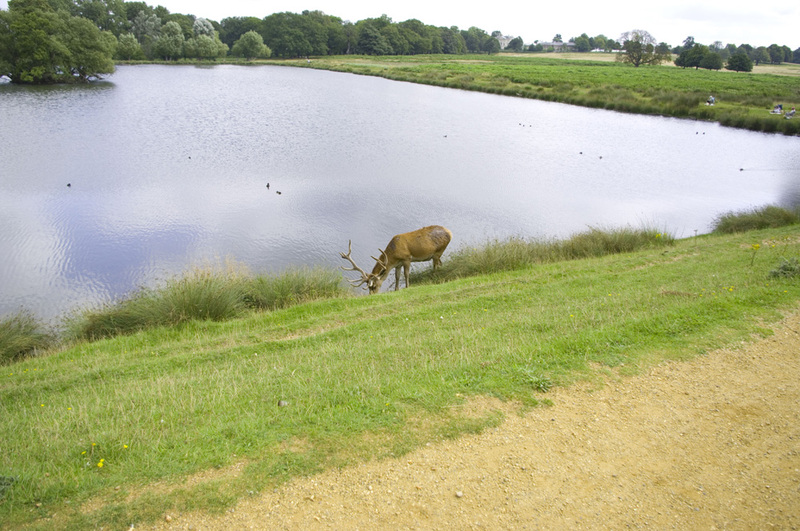 Brad Pitt has been spotted taking pictures of the deer in Richmond Park recently. He is over here filming at the moment. He and Angelina are living in a house, a grand house I am sure, by the Thames at Richmond. Outside the Richmond gate is a large elegant brick building called The Star and Garter Hospital. It is a special hospital for aged military servicemen and women from all wars. They also have the poppy factory next to it. We celebrate the dead of our wars on November 11th every year which was the First World War Armistice Day. 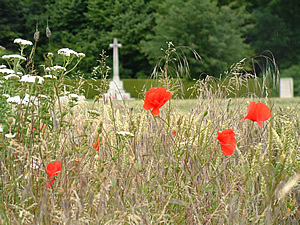 The fields of Picardy, in Northern France, where much of the terrible deadly trench warfare took place, were covered in wild poppies in the Spring. Somebody thought the poppies represented the drops of blood from the dead who lay in those fields so the poppy was taken as the British symbol to remember the dead. 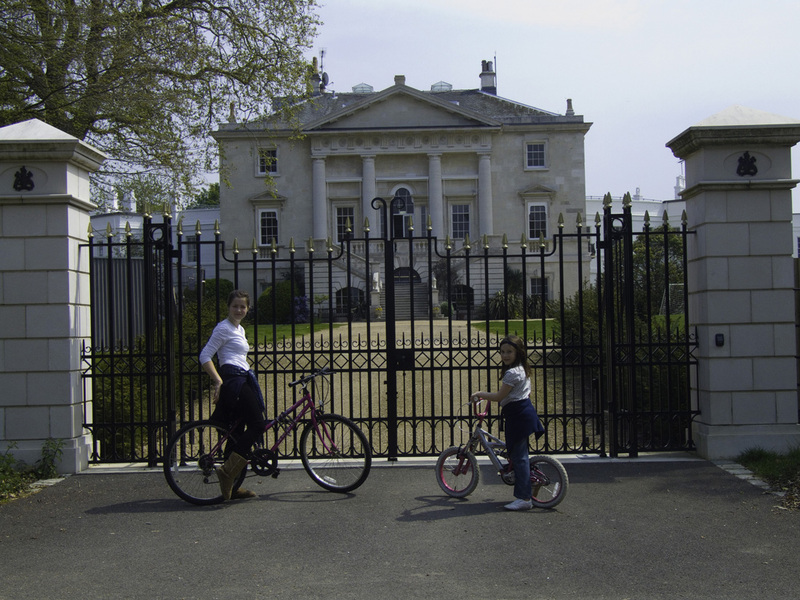 Just down the hill from the park, in Richmond town, there is a house called Hogarth House. 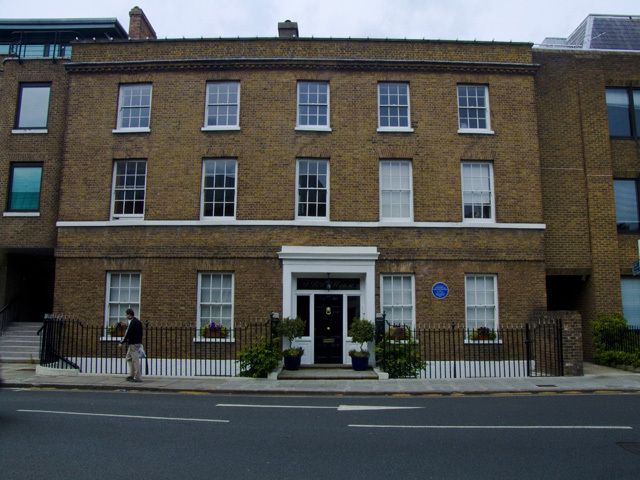 It was in this house that Virginia Woolf lived with her husband Leonard for many years and began The Hogarth Press, named after the house. 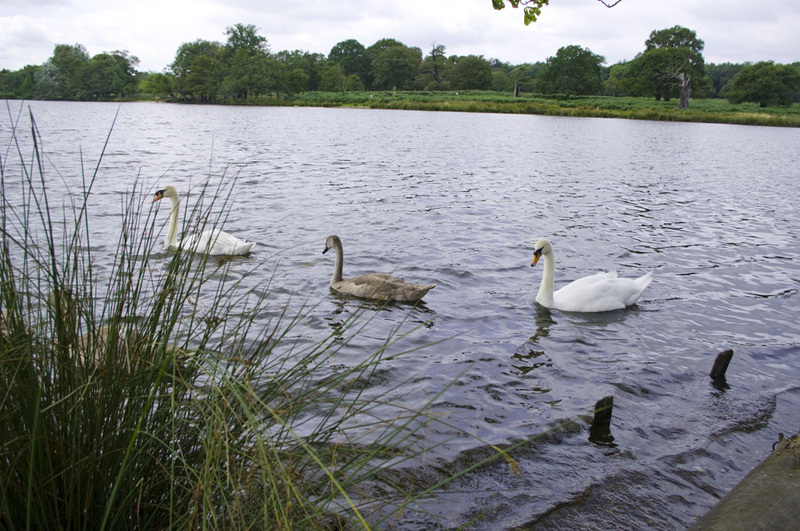 Virginia Woolf, in her diaries, often mentions going for walks with Leonard and friends in Richmond Park. Later a coal merchant and gentleman. 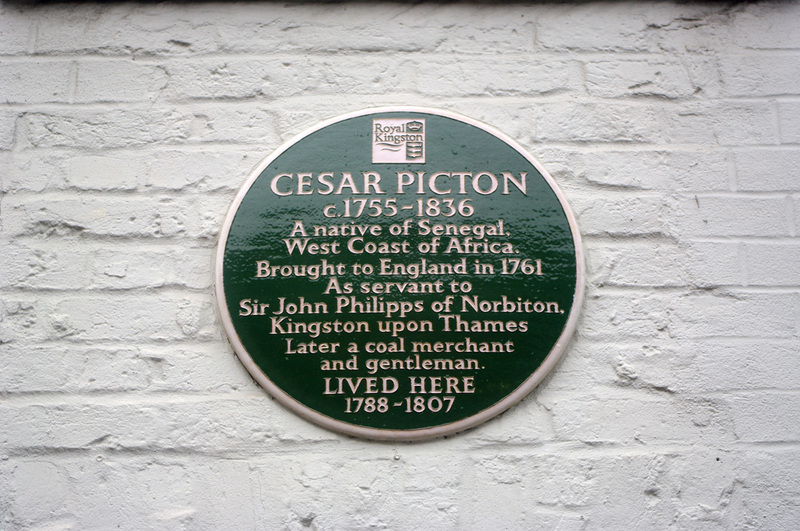 Cesar Picton was a slave in the ownership of Sir John Philips, and was made a freed man. 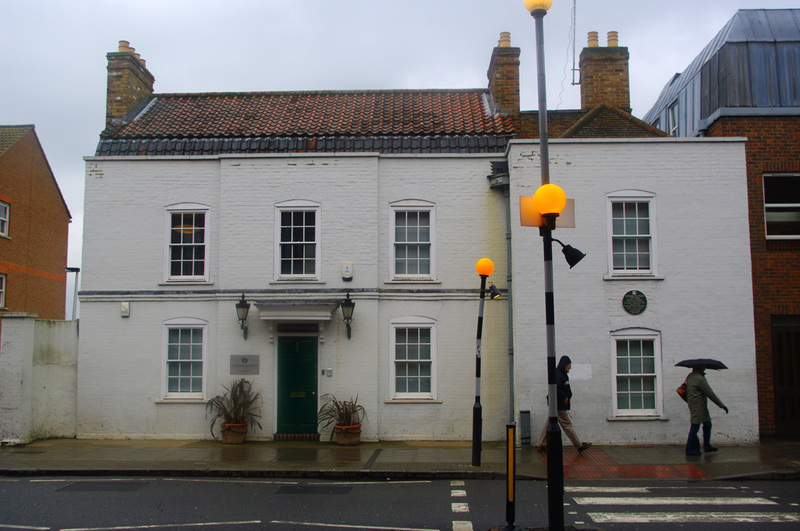 It is interesting to note that 1807, the last year Cesar Picton lived in this house, before he moved to Thames Ditton, a few miles away, the year the slave trade was abolished in Britain. It would be another twenty-six years before slavery itself would be abolished. But Cesar Picton was a freed man long before this event and already a prosperous merchant. His freedom had to do with Sir John Philips and what he and his family believed. Jane Austen would have passed through Kingston at the time Cesar Picton was a gentleman and merchant there. I wonder if she saw him in the streets? Jane’s family must have had close connections with slavery. Her brother Henry was a banker. Most of the wealth of Britain at the time came from slavery. Her brother Charles was a Royal Naval captain and was stationed on the North American station, often calling into Bermuda. 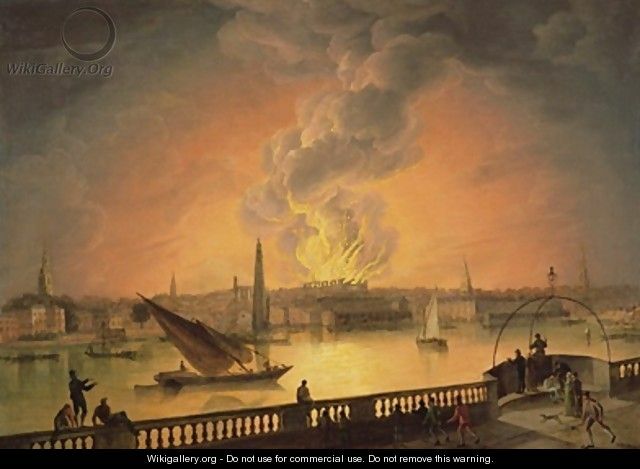 His ship must have been used to protect the slaving ships that the fictional SirThomas Bertram, in Mansfield Park, relied on for his wealth in the plantations. Apart from this oblique reference in Mansfield Park, Jane never mentions slavery or her views about it. During her lifetime the slave trade was abolished but not slavery itself. 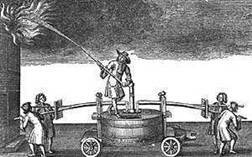 But change was happening, and by the time Cassandra died slavery was seen as a repugnant thing and was abolished. Was it one of the reasons Jane’s letters were culled by Cassandra in later life? Did she try to hide Jane’s – perhaps – unpopular views in the tide of anti slavery? We will never know. 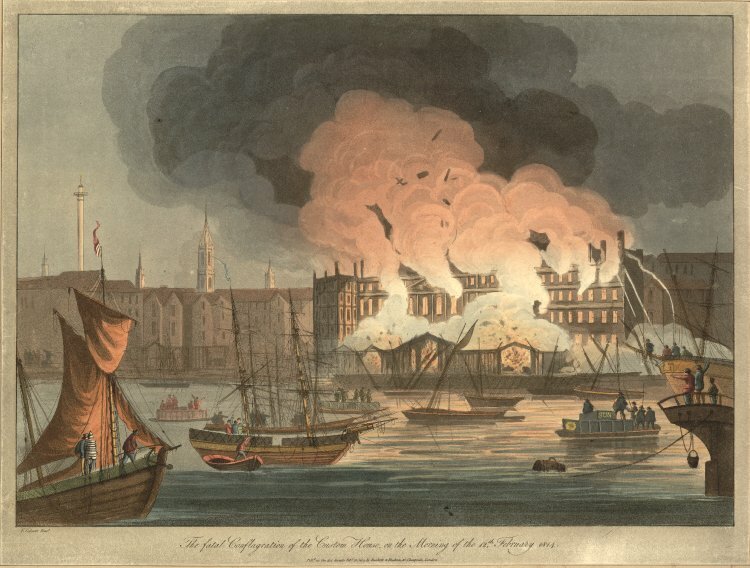 The year 1761, when Cesar Picton was brought to Britain by Captain Parr of the British Army especially for Sir John Phillips, is an interesting one. 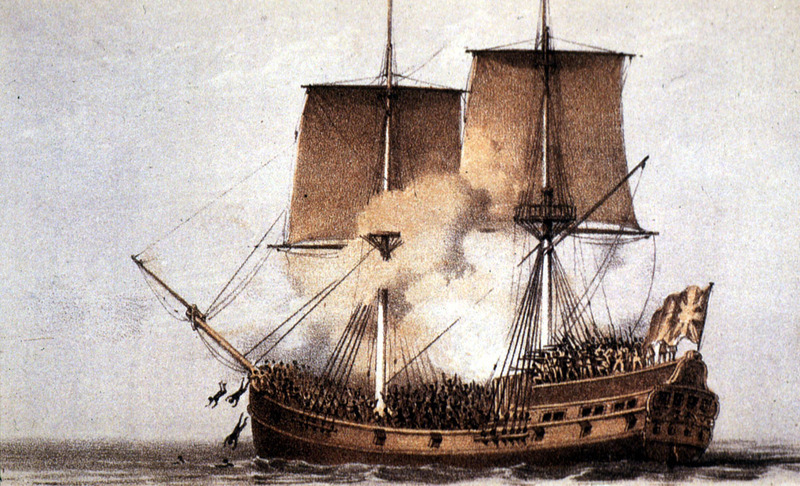 Senegal had been British up to 1677, when the French took it over. 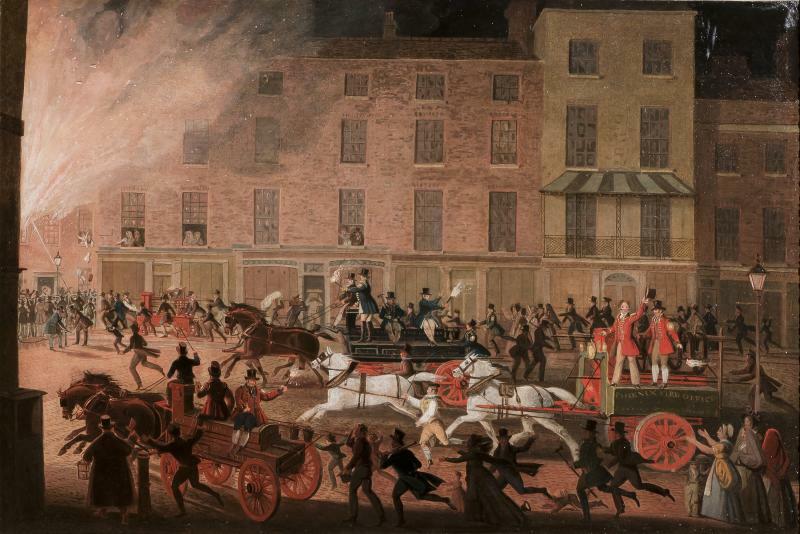 France and Britain had been at war in the late18th and early 19th centuries. Goree, the island just off Senegal that was used for trading slaves, changed hands briefly during these wars back and forth between the British and French. It could well have been during one of these brief spells in charge by the British that Cesar Picton was bought as a promising servant for a wealthy man back in England. There must have always been an element in British religious and moral sensibilities that saw these African slaves as equal human beings and at a high government level. 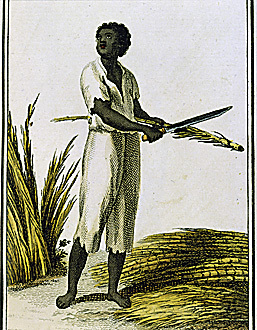 In 1788 Britain set up a settlement for freed slaves further along the coast from Senegal to accommodate slaves from the plantations of Virginia and Carolina. They had helped the British fight The War of Independence against the Americans, and a place for them to live had to be found after the British retreated from America. Nova Scotia was their first settlement, but the climate was too cold. Sierra Leone on the West African coast was set up for them, and Freetown, the capital, was established. But slavery was a vital element in the Empire for trade and financial wealth. It couldn’t be given up that easily, no matter how much it pricked certain people’s consciences, and the majority of people in England were kept ignorant of what went on in the slave plantations. 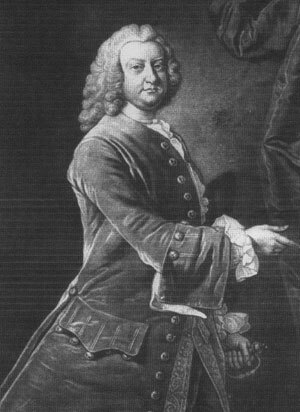 Sir John Philipps (1666 – 1773), the gentleman who obtained Cesar Picton, was a member of an illustrious family whose main seat was Picton Castle, near Haverfordwest in Pembrokeshire, South Wales. In the 18th century, the Philips family was the most powerful family in the political, social, and economic arenas in Pembrokeshire. Sir John Philips, who owned large areas of land in Wales, was a philanthropist who supported the building of schools. He built twentythree of them in Pembrokeshire alone. He also built schools in Camarthenshire. 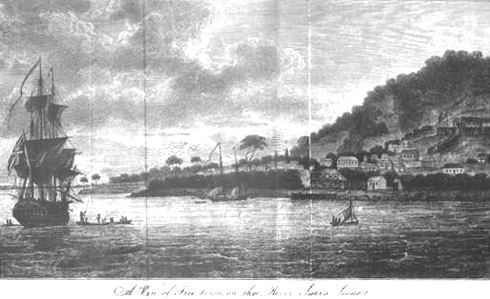 It was to Picton Castle in Wales that Cesar Picton was first brought from Senegal. He then took the name of the castle as his surname. 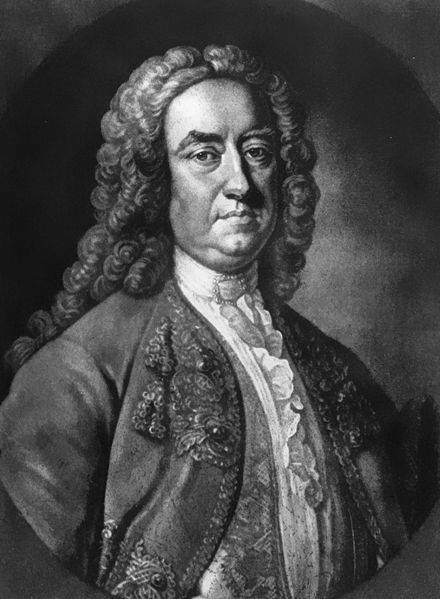 Sir John Philipps attended Westminster public school in 1679 when he was 13 years of age. He went on to Trinity College, Cambridge between 1662 to 1664, and was admitted to Lincolns Inn in 1683. He did not complete his degree at Cambridge, and he was not called to the bar either. 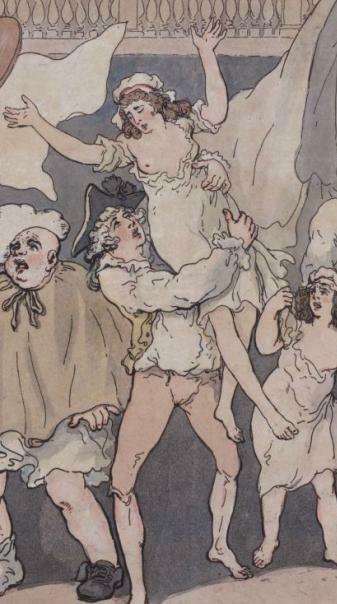 Sir John appears to have wasted his time and seemed to have enjoyed a frivolous life style when he was young. However by 1695 he became the Member of Parliament for Pembrokeshire. He remained a Member of Parliament until 1702. He then later returned to parliament for Haverfordwest and remained there until 1772. On the 18th January, 1697, Sir John’s father died, and he became the 4th baronet. In the same year he married Mary, the daughter and heiress of Anthony Smith, a rich East India merchant. Sir John had influential friends and great wealth. 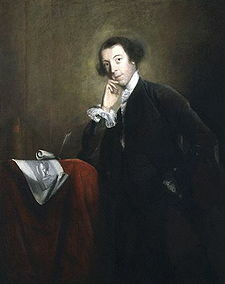 His sister Elizabeth’s daughter married Horace Walpole in 1700. From 1695 to 1737, Sir John was a leading figure in many religious and philanthropic movements. Most important of all, in relation to Cesar Picton, Sir John was a member of The Holy Club. 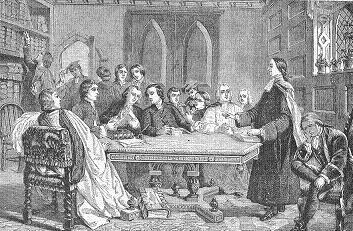 The Holy Club had many religious reformers amongst its numbers, A.H. Francke, A.W. Boehme, J.F. Osterwald, John and Charles Wesley and George Whitefield. These were Evangelists, Methodists and Quakers. It was from amongst these religious colleagues that the anti slavery movement found it’s strength and became an unstoppable force. Sir John was part of a group therefore that constructed the legislation to abolish the save trade and eventually abolish slavery. In his treatment of Cesar Picton we can see these beliefs in early action. It might have been that Sir John Picton actively sought a slave from Senegal with the express purpose of freeing him once back in England and supporting him to become a wealthy esteemed member of society. Maybe Cesar Picton was his proof that slaves were his equal. This is what happened to Cesar Picton. Cesar Picton was six years old when he was brought to England by Captain Parr , an British Army officer who had been serving in Senegal.. He was given to Sir John Philips along with a parakeet. 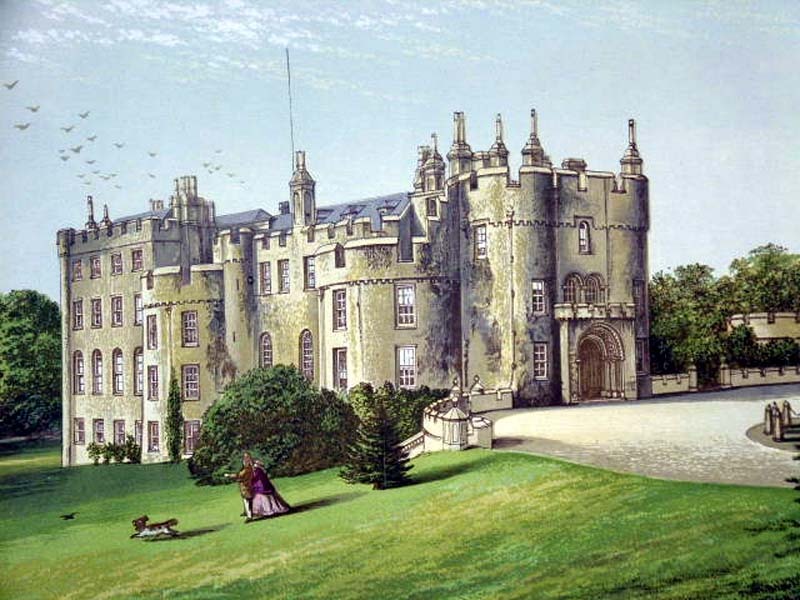 Cesar was born a Muslim but soon after arriving in Sir John’s household at Picton Castle he was baptised and given the name of Cesar on the 6th December 1761. 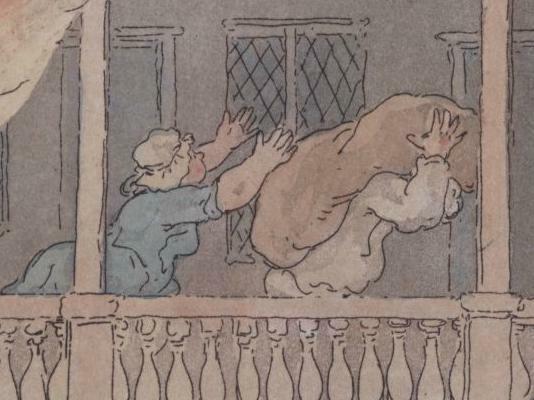 He was dressed as a servant wearing a velvet turban, which cost 10 shillings and sixpence. It was fashionable for black servants to be richly dressed. 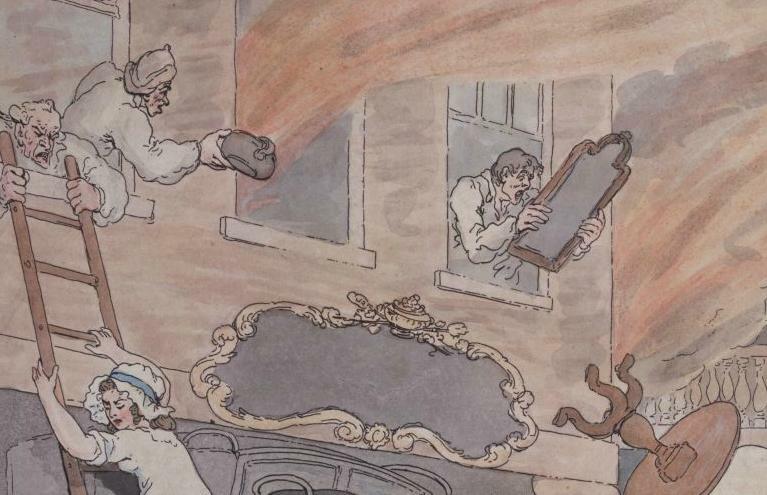 There were very few black servants in England. Only very rich merchants and the wealthy aristocracy would have them. 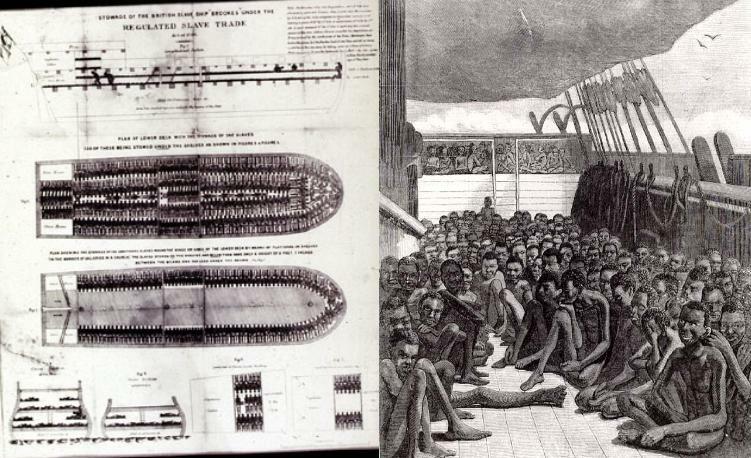 They were not treated the same as slaves which were used in their tens of thousands on the sugar, tobacco and cotton plantations of the West Indies and the mainland coast of America. 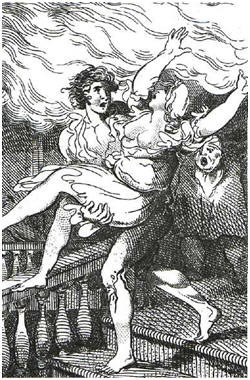 Normally a black servant would have been the personal servant of the male head of the household but Cesar became the favourite of Lady Philips. He mixed with the family on equal terms. Sir John’s philanthropic and religious beliefs were applied to the treatment of Cesar. Sir John died in 1764 and his son became Lord Milford. Milford is the area in Wales where Picton Castle is situated. Lady Milford made a new will in which she left Cesar £100. Her son sold Norbiton Place near Kingston. 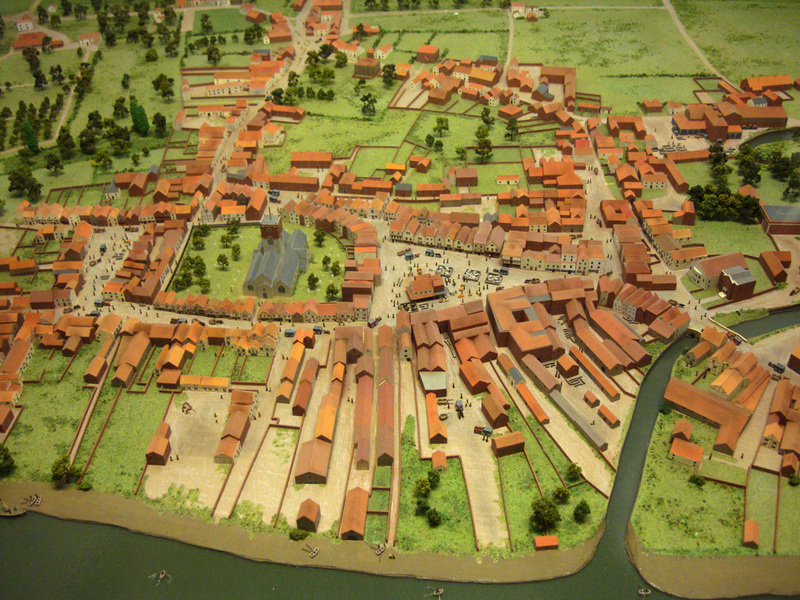 With the money he was given, Cesar was able to rent a coach house and stables next to the Thames in Kingston. This building today is called Picton House. After paying a corporation tax of £10 to trade, Picton set himself up as a coal merchant. 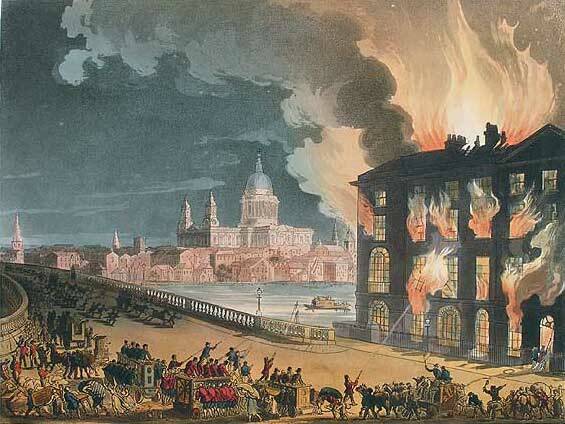 By 1795 he had made enough money to buy Picton House, a wharf for his coal barges, and a malt house for brewing beer. 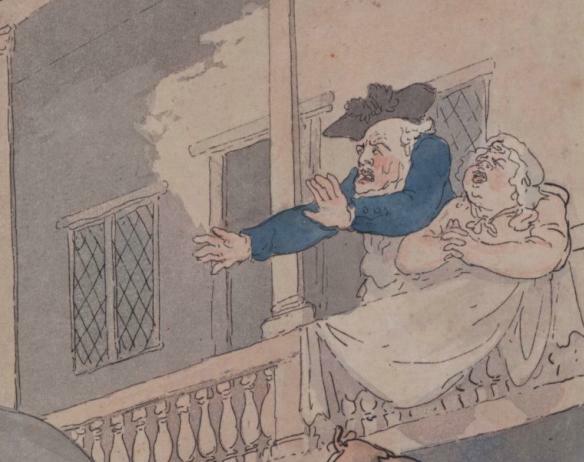 In 1801, one of the Philips daughters died and left him a further £100. He was wealthy by now on his own terms. In 1807,when he was 52, he let his properties in Kingston and lived in Tolworth neaby to Kingston for a while. 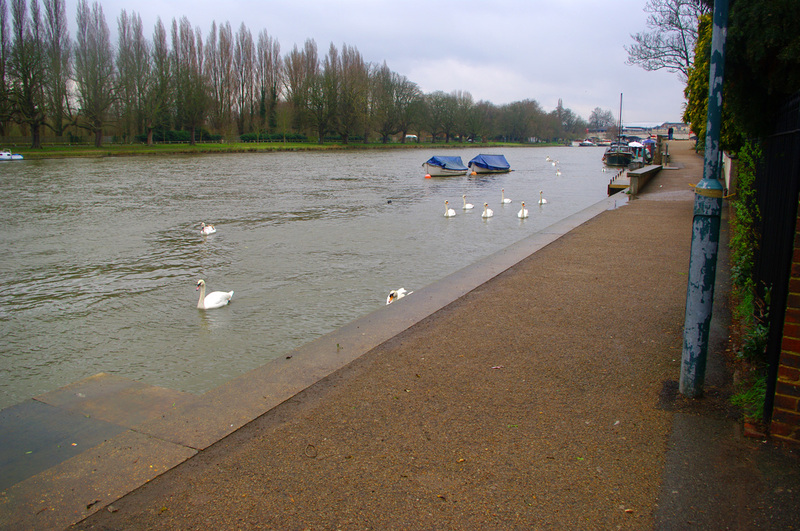 In February 1816 he bought a house in Thames Ditton, down river from Kingston, for the then massive sum of £4000. He lived there for the next twenty years until his death. When he died the list of the contents of his house included a horse and chaise, two watches, with gold chains, seals, brooches, gold rings, a tortoiseshell tea chest, silver spoons and tongs. There were also paintings of his friends hanging in his house including a portrait of himself. While Picton was living in Thames Ditton, the other two Philips daughters died in Hampton Court. Joyce left him £100 and Katherine left him £50 and a legacy of £30 per year for life. Cesar himself died in 1836 aged 81. 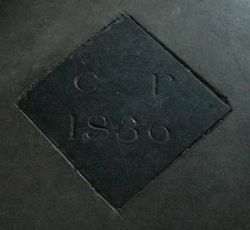 He did not marry and had no heirs, and was buried in All Saints Church, Kingston upon Thames on the 16th June, 1836. 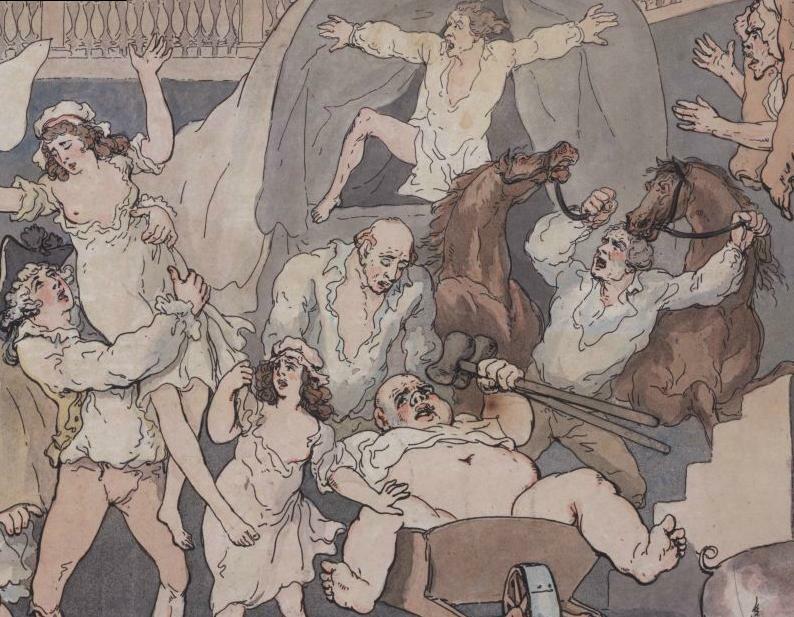 He had become very fat in his old age and his body had to be taken to the church on a four-wheeled trolley. Unlike some of the other freed slaves in England at the time, Cesar did not make his thoughts known about slavery and the slave trade. He was happy to lead a comfortable life. Olaudah Equiano wrote a book about his experiences and actively took part in the campaigning of William Wilberforce and Thomas Clarkson. Others, like Briton Hammon and Ukawsaw Gronniosaw, made oral accounts that were transcribed. 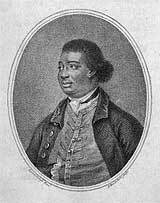 Letters were written by Ignatius Sancho to help bolster the anti slavery cause. 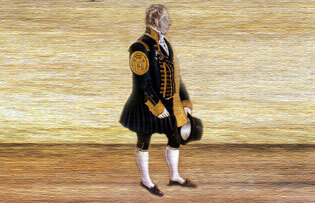 Sir Thomas Bertram’s affairs in Antigua could only have referred to his sugar plantations, the source of all his wealth and the financial source of Mansfield Park itself. 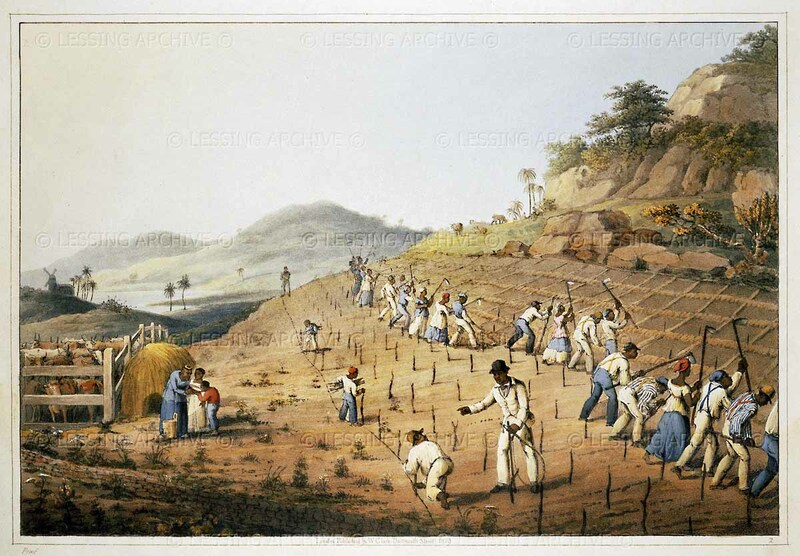 Jane’s own brothers, Frank and Charles would have been amongst the captains with their warships used to protect the likes of Sir Thomas Bertram’s trading ventures, which must have included slaves for his plantations in Antigua. Henry, Jane’s favorite brother, would have invested the proceeds of this trade through his bank. 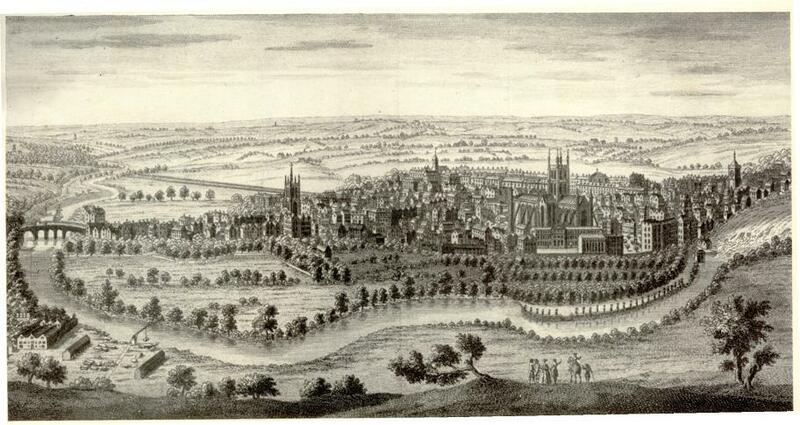 It is very possible that Jane caught sight of the famous Cesar Picton, wealthy merchant and freed man, walking in the streets of Kingston upon Thames. I wonder what her opinion was? Post written by Tony Grant, London Calling.